Safe driving is a skill that many young drivers have not mastered. Teen driving accidents affect countless motorists every year. If you have been injured by a teen driver or lost a loved one in an accident involving a negligent teen driver, you need to speak to an attorney. Injured by a Teenage Driver? 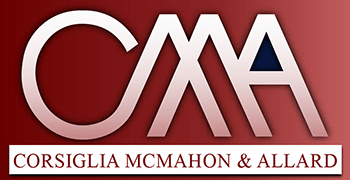 At Corsiglia McMahon & Allard, L.L.P., our skilled personal injury lawyers have earned a national reputation for the quality of our work. We aggressively protect our clients’ interests in a wide range of injury cases, including car accidents caused by young drivers. To schedule a free initial consultation, contact us at (408) 289-1417. You pay us nothing unless we obtain compensation for you. Drivers between the ages of 16 and 19 are four times more likely per mile driven to get into a crash than older drivers, according to the Centers for Disease Control and Prevention. 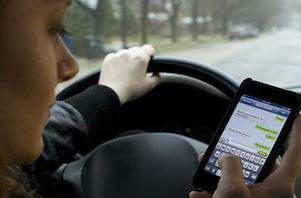 They are more likely to speed, tailgate, drive distracted and engage in other risky behaviors behind the wheel. Negligent driving among teens is a threat to everyone on the road. By holding teen drivers accountable for the harm they cause, we can shed light on an important safety issue affecting us all. We work to make the community safer for teen drivers and all of us who share the roads with them. A significant percentage of teen drivers who get into auto accidents have been drinking. Drinking and driving is dangerous behavior for drivers in any age group. When combined with a teen driver’s inexperience, alcohol and drug use is a major threat to safety on the roads. Our firm has extensive experience helping victims of drunk driving accidents. If you suspect that alcohol or drugs were a factor in your accident, we can help you get the compensation you deserve. Our experienced personal injury attorneys know how to present a compelling case to insurance companies, judges and juries. We can explain your options and protect your rights in and out of court. If you have been involved in an accident with a teen driver, contact us at (408) 289-1417 to schedule a free initial consultation. We serve clients in Santa Clara, San Jose, Santa Cruz, Palo Alto, Sunnyvale and other Bay Area cities.